Gaming tablet. Those are two words I honestly didn't expect to say side-by-side about anything aside from SHIELD Tablet, but alas, here we are. It looks like Acer thought there should be something more in this market, because it just officially announced its Predator 8 gaming tablet. Sounds mean. As the name suggests, this is an eight-inch device, which has a 1920x1200 display resolution. 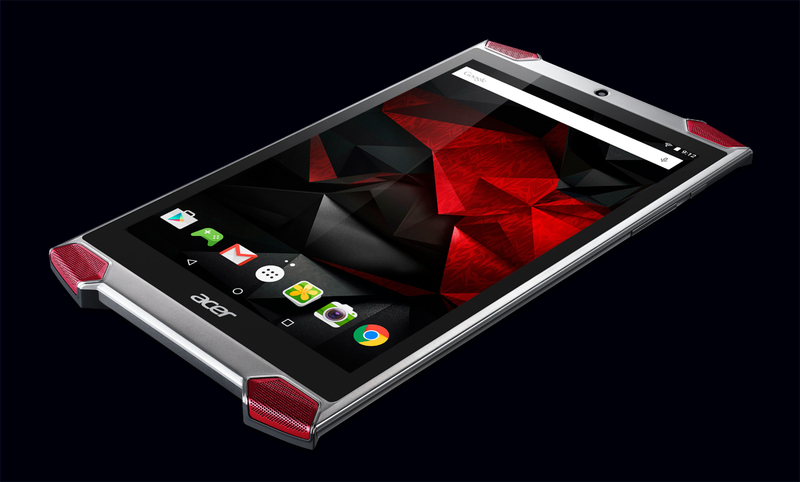 It also has four front-facing speakers and virtual surround sound, which Acer refers to as Predator Quadio. It's powered by an Intel Atom x7 processor, and runs Android 5.1 out of the box. On paper, it sounds like a pretty solid device.